Buying for the under six age category can be a difficult one because it’s often a transition period for children where they progress from baby type toys to more advanced. I’ve put together a few items that I think would make great additions to any under six this Christmas! 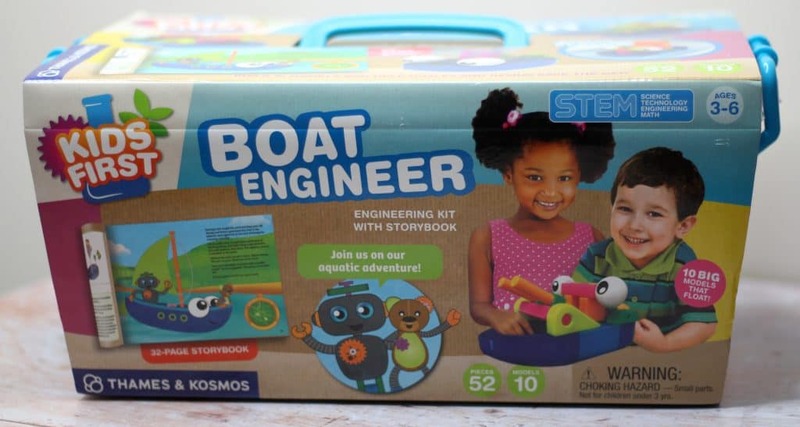 Two young engineers Ty and Karlie will take your little one on a boat building adventure in the form of a story book helps you recreate and build your very own boats! This is great for those fine motor skills and the boats actually float too so great to put them in the bath or sink! It’s a lovely funny story that accompanies this 52 piece science kit! A great educational toy that won’t feel that way to your child! You can purchase and find out more here. This set comes with a 6 fabric pens and a very own top for your little one to transform into their very own superhero outfit! This is a great way for your little ones to get creative and bring out their unique flair in their very own superhero top! There is a colour in practice sheet so they can brainstorm their ideas before they bring their masterpiece to life. Available in sizes 2-10 years from Selfie Clothing. I always remember playing with my Scalextric when I was younger. That Christmas was a fond one! We played as a family for hours and hours not just on Christmas day but for years afterwards. 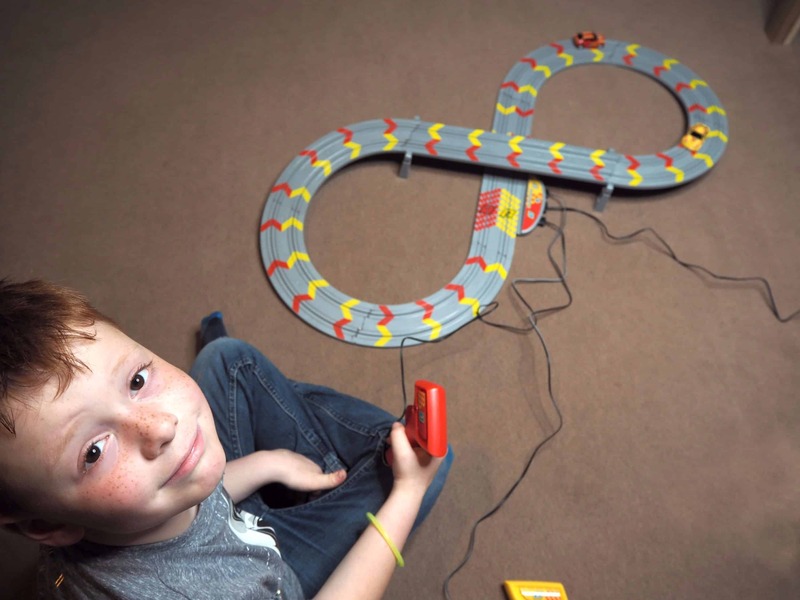 My First Scalextric is a great introduction for younger children into the Scalextric world! It helps motor skill development, hand eye coordination and manual dexterity as well as being a great group activity for the family. 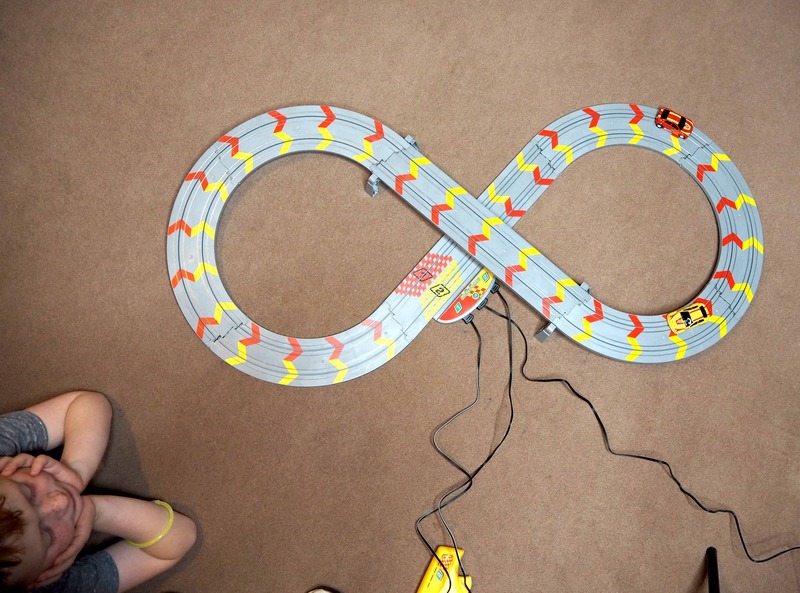 The figure of eight track is easy to assemble and is compatible with the Micro Scalextric range so you can extend and add to the track in the future. Everyone can get involved in this fabulous family fun activity with it’s Magnatraction that helps keep the cars on the track and the adjustable hand controllers mean that the race speed can be altered to suit skill level! My First Scalextric is available to buy from here and is suitable from age 3 upwards! 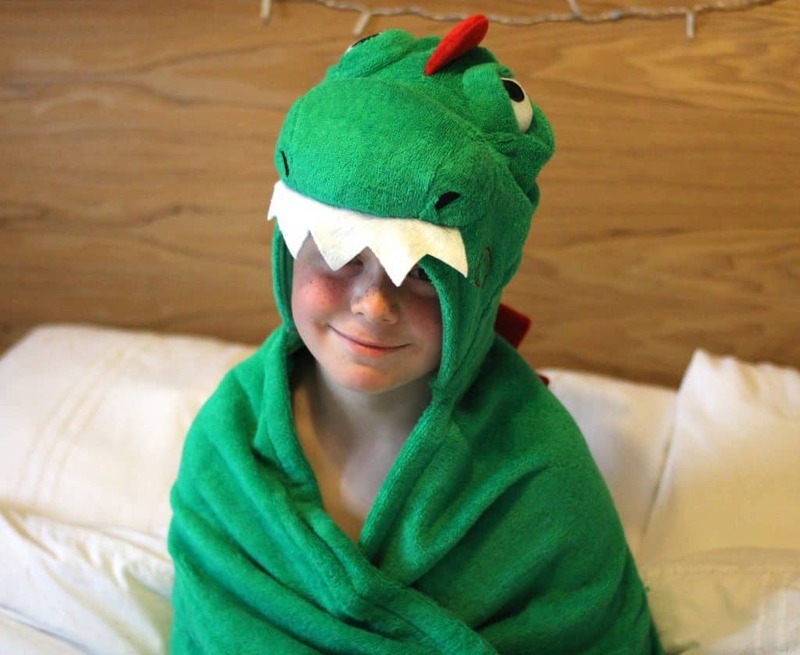 Why not make bath times more fun with this dinosaur hooded towel!! I LOVE this towel because unlike some hooded towels on the market this one is ginormous!! It’s the perfect size to snuggle into whilst staying warm and getting dry especially on a winters night. The towel itself is hardwearing so can definitely withstand a fair few dinosaur adventures but is still soft and gentle on the skin. This is a fun yet practical gift that will be sure to brighten up any bath time. The towel is 100% cotton and jersey lined. It’s recommended from 24 months – 5 years but I would say that there is certainly room for slightly older children too. This Dinosaur Hooded Towel is available online from Find Me A Gift. Thank you so much for stopping by have a great day!! Don’t forget to look out for my other gift guides! Items marked with * were sent on a gifting basis however all words, opinions and views on these products are my own and honest. Every effort has been made to provide correct pricing at the time of printing please see individual websites for exact up to date prices. For more information on any of this please visit this page.